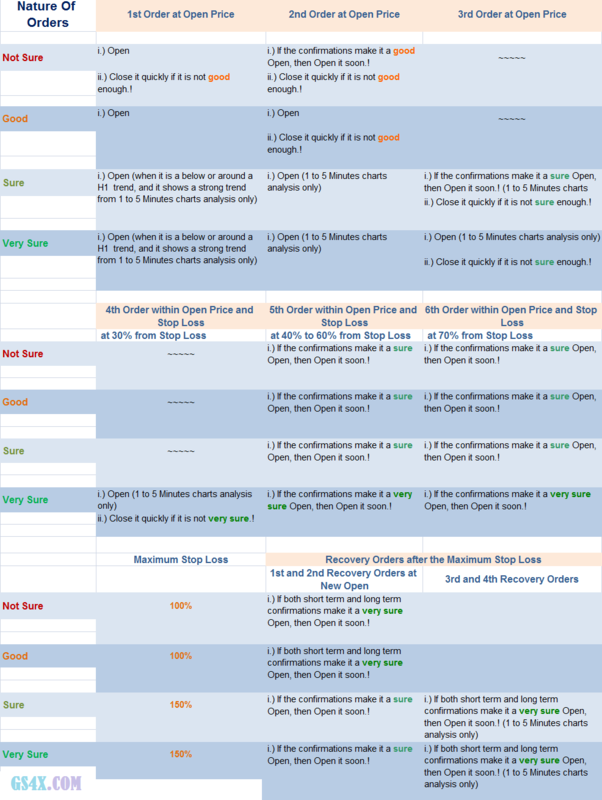 My ZuluTrade Forex Trader Demo Account: http://ranrahas.com/performance You can make a free demo account first to follow me. Demo ගිණුමකින් හෝ Real ගිණුමකින් මගේ ගිණුම Follow කිරීම (Copy කිරීම) සඳහා මෙම වෙබ් අඩවියට ගොස් http://ranrahas.com/performance එහි ඇති Follow බොත්තම එබූ විට (Click කල විට) ඔබ දැනටමත් ගිණුමක් සාදා ඇත්නම් Login බොත්තම එබීමෙන් හෝ අලුත් ගිණුමක් සෑදීමට Create Account හෝ Register බොත්තම එබීමෙන් පසුව පැමිණෙන පිටුවට ගොස් ලියාපදිංචි වීමේදී මාගේ ගිණුම පමණක් Follow කිරීමට අවශ්‍ය $500 ක් හෝ ඊට වැඩි මුදලක් ඇති ආදර්ශ (Demo) ගිණුමක් හෝ සත්‍ය (Real) ගිණුමක් (මෙහි පෙන්වා ඇති පරිදි http://www.ranrahas.com/page.php?38) සෑදීමෙන් පසුව නැවතත් මෙම පිටුවට ගොස් http://ranrahas.com/performance එහි ඇති Follow බොත්තම එබූ විට මාගේ ගිණුමෙහි දැනට යොදා ඇති ගනුදෙනු සමග හෝ ඒවා නොමැතිව මාගේ ගිණුම ඔබගේ ගිණුම සමග සම්බන්ධ කරගැනීම තහවුරු කරගත හැක. මගේ ZuluTrade ගිණුම අනුගමනය (Follow) කිරීමට අවම $500 ක් අවශ්‍ය බව තමයි ZuluTrade ආයතනය විසින් නිර්දේශ (recommend) කරන්නෙ. $300 කට වැඩියෙන් අනිවාර්යෙන් ආයෝජනය කරන්න ඕනෙ, ඒත් $500 ට අඩුවෙන් ආයෝජනය කරොත් අවදානම ටිකක් වැඩයි. මං ටිකක් වැඩිපුර ගනුදෙනු (Orders) දමන නිසා $400 ක් වත් ආයෝජනය කරන එක හොඳයි. මේ මගේ Forex ගනුදෙනු: http://ranrahas.com/performance මාව Follow කරන්නම ඕනෙ නැහැ. 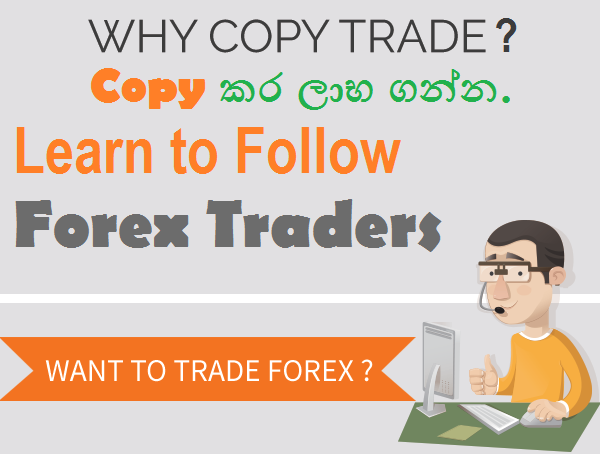 Forex Signals ගන්න අයට මං එවන Signals වලට අනුව මං ගනුදෙනු කරන විදිය බලන්න තමයි ඒක වැදගත් වෙන්නෙ. Total Pips profit එක සති දෙකක් හෝ මාසයක් ටිකක් හරි පහලට ආවොත් ZuluTrade rank එක තාවකාලිකව ගොඩක් අඩු වෙනවා. මගේ නියම ZuluTrade rank එක බලන්න පුළුවන් වෙන්නෙ මං අරගෙන තියන උපරිම Tatal Pips profit එක පහු කරගෙන යන සති වලදි විතරයි. ඔයාලටත් පුළුවන් මේ විදියට Demo ගිනුමකින් Forex trading කරන්න. එතකොට ඔයාගෙ හැකියාව පෙන්වන්න පුළුවන් වගේම ZuluTrade rank එක පළමු 100 අතරට ගන්න පුළුවන් උනොත් ලෝකයේ සිටින ආයෝජකයන් ඔයාව Follow කරන්න පටන් ගන්නවා. එතකොට ඔයාටත් 5% ක් 10% ක් පමණ හෝ ඇතැම් අයගෙන් 20% ක පමණ Profit Share එකක් හම්බවෙනවා. ආයෝජනයක් නොකරම අමතර ආදායමක් විදියට ඒක කරන්න පුළුවන්. මගේ අරමුණත් ඒකම තමයි. එක දිගට ලාභ ලැබුවොත් මාස දෙක තුනක් ඇතුලත පළමු 100 අතරට එන්න පුළුවන්. මගේ Forex Signals වලින් හෝ වෙනත් ඕනෑම ක්‍රමයකට සාර්ථකව ගනුදෙනු කරන්න පුළුවන් නම් තමන්ගෙ සල්ලි ඕන වෙන්නෙම නැහැ. ආයෝජකයන් ඕන තරම් හොයාගන්න පුළුවන්. මටත් සල්ලි දෙන්න කැමති අය ඉන්නවා. ඒත් මං කැමති නැහැ ලංකාවේ අයගෙන් සල්ලි අරගන්න. අවදානමක් ගන්න හැකියාවක් තියන ලොකු ආයෝජකයන් ගොඩක් විදේශ රටවල් වල ඉන්නවා. අපිට අවශ්‍ය වෙන්නෙ අමතර කාලය සහ හොඳ Forex Signals සේවාවක් භාවිතා කරල සාර්ථකව ගනුදෙනු කරන්න විතරයි. මං මගේ හැකියාවෙන්ම ගනුදෙනු කරත්, තමන්ගෙම හැකියාවෙන් විතරක් ගනුදෙනු කරන්න කියල මං කියන්නෙ නැහැ. ඊට හේතුව ඒක ගොඩක් අමාරු දෙයක් සහ කාලය නාස්ති කිරීමක් විය හැකි නිසයි. ZuluTrade company recommended minimum $500 account balance to follow me, and it is better to invest minimum $400 to follow me, but the minimum investment is $300. If you invest $300 then your maximum lot size should be 0.01 lots. And sometimes I use a MQL4 Expert Advisor to close all opened orders with total 1000pips loss or $100 loss to prevent a higher loss from an unexpected high volatility of the market when the stop loss levels of the orders can give a higher loss. So it is much better if you can invest minimum $300 to open maximum 0.01 lot size orders to maintain an account balance to recover after a worst loss. I think everyone will be fortunate to make their first profit within few weeks or months to be able to withdraw their initial investment. Please select a recommended Forex broker. Please contact us to subscribe for the SMS Forex Signals service for any country to learn Forex trading for free if you follow the instruction of this page http://forexsignals.ranrahas.com to open your account. And you can use the instruction of this page Forex Signals & Videos when you follow the Forex Signals. You have to subscribe Forex Signals first, or you have to trade minimum 5 lots to learn the Full Forex Course For Free. Please visit: www.gs4x.com for more details. If you want to follow the best traders to be a millionaire within 2 or 3 years, just send us your details to help you. Need minimum $300 to activate a real account. (Required details in Sinhala). Question: How can we follow your ZuluTrade Virtual account?